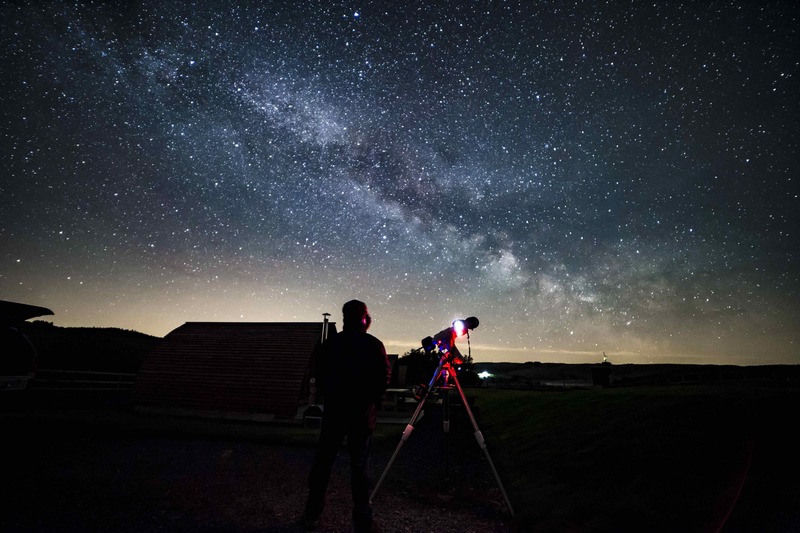 Dark Sky Wales presents a two days of astronomical tuition and observation set in the wonderful dark skies of Staylittle in Mid Wales. The workshop is aimed at all levels of experience with the aim of getting you more accustomed to astronomy, the night sky and taking your own images. 1 double bed and 1 double sofa bed with memory foam mattresses. En-suite shower room with shower, basin, heated towel rail, toilet, and toilet rolls. Kitchenette fitted with electric 2 hot plate hob, full sized fridge, microwave, toaster, kettle and sink. Crockery for 4 guests (including cutlery, bowls, dinner plates, side plates, mugs, acrylic tumblers, chopping board, tin opener and wine glasses. • Dining table and four chairs. • Small torch for emergencies. • Lockable French doors leading to private decking area with picnic bench. • All electricity, heating and hot water. 4.00pm Arrive at the Hafren. 7.30pm Equipment – Introduction to astronomical equipment. The day is left free for you to explore the wonderful scenery of Mid Wales. 6.00pm Lecture – What’s in the night sky? 7.30pm Astrophotography – Landscape and deep sky imaging. Price is per Cabin (host 4 people), dates available throughout the year and is subject to availability.